Over the past few years, we’ve seen several companies come out and condemn their own customers. Companies like Marvel, Tor Books, and the NFL have called entire portions of their audience racist, sexist, homophobic, and every other name under the sun. It’s gotten so bad that companies like Walmart, that we used to hate, now look good simply because they haven’t pulled this sort of crap. ‘Now why would a company do this?’ you may ask. One would think that insulting your own customers would be the kiss of death for any capitalist enterprise. I think I’ve figured out the reason why, but first I must explain a concept known as the Public Sector. 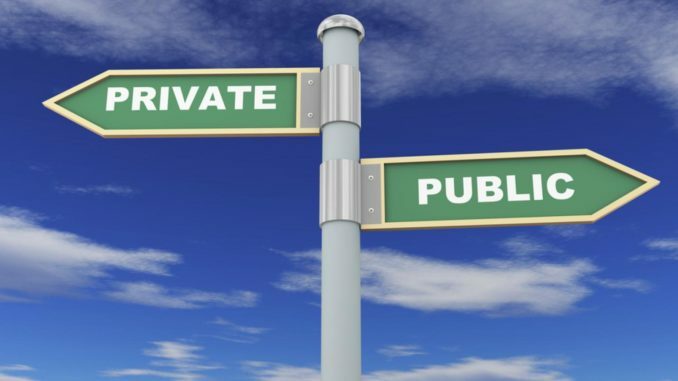 Businesses operate in one of two ways: either through private ownership, known as the Private Sector, or owned collectively by The Public and funded through tax dollars, known as the Public Sector. An example of a business operating in the public sector would be the United States Postal Service. In my neck of the woods, we have had packages damaged or lost (I never did get that copy of Frogger for the SEGA Genesis.) Mail is delivered to the end of one’s driveway, where it can be easily stolen, rather than to one’s doorstep. If one doesn’t like this, then they have to pay a yearly fee for a PO Box, meaning one has to drive into town to receive their mail. And if you have any business which must be conducted in person at the post office, be sure not to arrive during the hour and a half lunch break that the public servants take. Compare the efficiency of the USPS with that of privately owned postal services, like Fed Ex and UPS, and decide for yourself which is superior. Of course, there are some businesses which can’t always operate in the private sector. In a low trust community, the fire department must be publicly funded, or else firemen will charge an upfront fee before extinguishing a burning building. Yes, volunteer firemen exist, but they’re only feasible in high trust communities. But the business of firefighting is a need that everyone has. If your house is on fire, you and all your neighbors need someone to come and spray a bunch of water at it to put out the flames. There are other areas of the public sector which aren’t as necessary. You may notice that most companies who attack their audience provide services which are considered a luxury. You don’t need to read the latest Dune novel; your life doesn’t depend on its existence; reading Navigators of Dune is not a necessity. Yet, that doesn’t stop the people who work for Tor Books from behaving like public sector employees. One could argue that the general public needs some infrastructure to be funded with tax dollars, such as sanitation or water filtering, that some important services would be too expensive to fund through the free market. I don’t agree that schools should operate in the public sector, but I at least recognize the necessity of the school system and understand that it would be a great loss to the community if there were no schools at all. However, art and entertainment are not necessities. That sculpture of a horse on the sidewalk might look nice and maybe brighten the scene, but it’s not something anyone depends on. For that matter, a private business owner could easily place a similar landmark on his own corner of the street where others can see it. This is an individual person choosing to spend money on something for the benefit and delight of the community, rather than the government forcing tax payers to fund art. But of course, this post isn’t about art college graduates with a lot of connections and terrible work ethic. Those people already operate in the public sector, and will continue until we vote the local government officials that hired them out of office. This is about companies that want to operate in the public sector, but haven’t secured government contracts yet. These companies are getting ever closer by the day to achieving those public sector art grants. President Trump can’t do much to stop this, because these art grants are usually given from the local government. Plus, there’s plenty of other English speaking countries in the western world that these globalist companies can operate in. In fact, some of them already are doing just that. The last Pirates of the Caribbean movie was partially funded by the Australian government. They wanted Disney to create more jobs there while they were shooting the movie, but I guess they didn’t realize that Disney would eventually stop filming and leave. Another example of a company that operates in the public sector would be the large book publishers in New York. Yes, the Tor Books imprint of Macmillan isn’t publicly funded, but there are other imprints and publishers which are. This is all thanks to the public school system’s required reading list. This is another area of the public sector which some would consider a necessity, and indeed students need to learn how to read to function as adults in society. 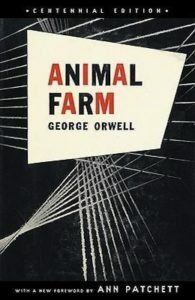 However, there is a vast collection of books that have fallen into the public domain in America, and even more for those with access to the Australian public domain. These companies wouldn’t have contracts with the public school system in the first place if they didn’t control the copyright of books whose authors have died years ago. Of course, this can be changed if someone were to fix our copyright laws. All that said, for states that use the Common Core standards, it isn’t that simple. Everyone’s talked about how bad the common core teaches math, but no one’s really brought up the change it brought to required reading. Before Common Core, there was a list of books that all students had to read before graduating high school, but now teachers can assign almost any book they want for their students to read, from books like Hunger Games or even Interactive Experiences like Gone Home. At first glance this would seem to be a similar replacing of literary canon, like we talked about in a previous video, but in this case the school’s required reading has itself overshadowed many of the old adventure stories. My solution is to allow students to pick and choose what they want to read for themselves. Of course, teachers should ensure that the books students read properly challengs them, but if a kid finds a particular book uninteresting, don’t force him to read it. This is the only way we can inspire a love of reading in students, one which will carry on into their adulthood and will lead them to new ideas and theories which can only be explained in long form essay. But to return to my main point, we can assume that any company which employs people who behave like public sector workers, people who treat you as poorly as those employed at the post office or DMV often do, we can assume that they want your tax dollars. There is no other explanation for their behavior. If their boss allows them to act in a manner that pisses off customers, then it must be because they’re more interested in government grants. It’s not that they don’t want your money—they absolutely do. It’s that they want Uncle Sam to force you to fund these companies. They don’t want there to be any choice involved. They spit in your face and laugh at you because they are thieves who intend to steal your money, just through the public sector instead of with a lockpick. But like I said before, there is still time to stop them. Most of these companies are not yet so entangled within the public sector that they’re invincible. The solution is simple. Why, it’s the title of this post. Stop giving money to people who hate you. That’s it. Just stop. Vote with your wallet, and don’t give them your money. Do this and they will either fix their behavior or go out of business. Take ComicsGate, for example. Commentators and spectators of the controversy have stopped buying books from Marvel, as demonstrated by sales numbers. Sure, the reviewer still has to buy the issues, but that one purchase goes toward a video which thousands have seen. It’s like how you have to load the page and ads of a clickbait blogpost to run it though archive.is, but that archive link will deny the site further traffic and ad revenue. There’s also EA’s launch of Star Wars Battlefront II, which did absolutely miserable. Everyone was pissed, and rightly so, that most of the game’s heroes were gated behind lootboxes, and gamers responded by refusing to buy the game. Thousands of boxes sat unsold on store shelves, all because consumers decided to pass on it. A bad video game, with a pseudo-gambling mechanic, that wasn’t even as good as the Battlefront game from 2005, sold poorly because gamers did not buy it. Speaking of Star Wars, the newest movie was released last year, and it had one of the biggest box office drops in the entire history of Hollywood. Everyone heard that this movie wasn’t very good, that it dumps on the legacy of the Original Trilogy, and audiences stopped going to see it. During the New Years Eve weekend, when movies usually see a boost in ticket sales, the turnout dropped even further. In China, it was outperformed by some low budget rom-com flick called The Ex-File 3: The Return of the Exes. If this keeps up, Disney won’t earn back the four billion they paid for Lucasfilm. The toy sales certainly aren’t going to make up the difference. I could go even further back and talk about how customers forced General Electric to stop manufacturing nuclear weapons. The point is that voting with your wallet and refusing to give money to companies that hate you works. Even the threat of customers leaving has often been enough to get companies to change their ways. And if they don’t, that will only create an opening in the market for new businesses, which have a better market understanding and appreciation for their customers. You must make these companies choose: do they want to cater to their actual customers, or do they want to find themselves out of business. this is great. Money is a huge influence on behavior. Well written article!